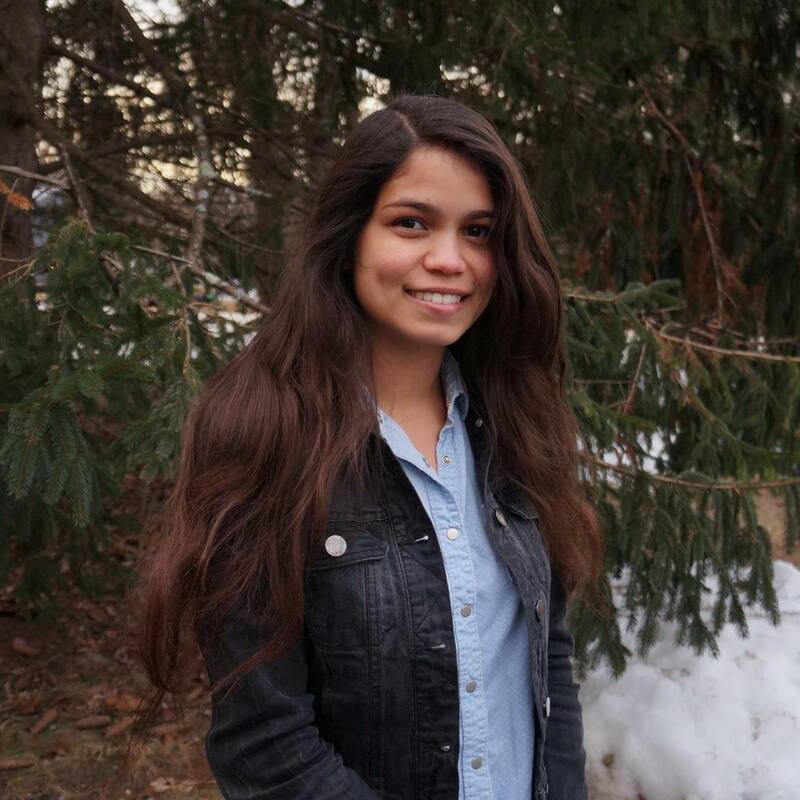 Angelica Beltrán Franco ’19 is a wildlife and conservation biology major and animal behavior minor who moved to the U.S. with her family in 2013 from Medellin, Colombia. She is one of six UNH students who have been awarded a 2019 Benjamin A. Gilman International Scholarship. She’ll be spending the summer studying in Tanzania and taking courses on wildlife management conservation and African large carnivores, an experience she hopes will be a springboard to a career helping endangered cats. Beltrán Franco, a serious photographer who loves capturing the culture, people and landscapes of the countries she visits, says she’s also looking forward to seeing the country from behind the camera lens. Angelica Beltrán Franco: As a non-traditional student, I think maintaining good academic performance is what I'm most proud of. A lot of students that live on campus do not realize that they are very fortunate to go to class nearby, have meals available, health services, and a library to have quiet study time. They do not have to struggle too much to sustain their finances for now, but as a commuter, it’s difficult to put your whole energy and attention to your studies when you have a household and have to be worried about bills, cooking, bus schedules, part time jobs, etc. Perhaps my budget is a stress factor today, but the dedication I have to my studies is worth it. Beltrán Franco: It wasn’t easy to come from another country. I had to start from zero, in another language, with no work experience, clueless, and I only had motivation. My parents gave up everything they had back in Colombia so my brother and I could have a better future here, but the reality is that I had to help them economically and set aside full-time school for a while. I could only attend night classes and delayed the time of my graduation, but I was fine with it. Once our situation was stable I was able to complete my associate’s degree and transfer to UNH. I owe my best effort in anything I do to my parents and to this country that has extended its hand to me, but also I owe my dedication to my career goals to myself. Looking back to what I have accomplished reassures me and keeps me motivated to keep going. Beltrán Franco: The conservation of wildlife and the impact that human development and climate change has had on the different species has always motived me to look for a way to help. When I was completing my associate’s degree, I wasn't sure which approach to take, but when I transferred to UNH and learned more about what needs to be done, I decided to focus on the misunderstood and persecuted species: carnivores. I have dedicated my last year at UNH to learning as much as possible about carnivores, especially felines, so I can contribute to their conservation and mitigation of the carnivore-human conflict. I am going to learn about these problems and conservation techniques in Africa during the summer with the School of Field Studies, and hopefully I'll learn how to apply them back at home. It wasn’t easy to come from another country. I had to start from zero. Looking back on what I have accomplished reassures me and keeps me motivated to keep going. Beltrán Franco: You need to understand that working with wildlife is not like a petting zoo. You don't "hang out" with the animals, you don't only take pictures, nor you will be recorded in a NatGeo show (although maybe you will be someday). You are working with people mostly. Know that the people are the real targets, and that is how we can improve the situation for a species. Know that you need to work with homeowners, farmers, hunters and business owners, so you better be ready to educate them. That's the truth behind our management system. Beltrán Franco: I plan to apply for several wildlife technician jobs across the states and find my way to a state biologist position with Fish and Game or a federal position with Fish and Wildlife. I’m also considering joining conservation agencies that are fighting against endangerment and overexploitation of wildlife. Maybe in the future I’ll open my own carnivore rehabilitation center, since they are the species I want to work with. Beltrán Franco: UNH offers an excellent natural resources program and the courses in the wildlife and conservation biology major are designed to introduce us to different techniques of wildlife conflict resolution, management, policies and conservation principles based on science and logic. Each student sets the goals and limits of their knowledge, and I personally always encouraged myself to go further on the topics relevant or interesting to me. The classes always offered me a possibility to specialize in the species of my choice and refine the tools and information given in previous classes. I can see now how all my lessons connect into a whole set of skills. Beltrán Franco: The Durham campus is beautiful, and I love College Woods and the conservation areas nearby and the sawmill and other forested areas that are so close to Durham, where I learned the most. The location of the campus improves the learning experience because it turns the lessons from theoretical to hands-on. COLSA: Finally, please share one interesting fact about yourself. Beltrán Franco: I survived college without a drop of coffee, even though I'm from Colombia!